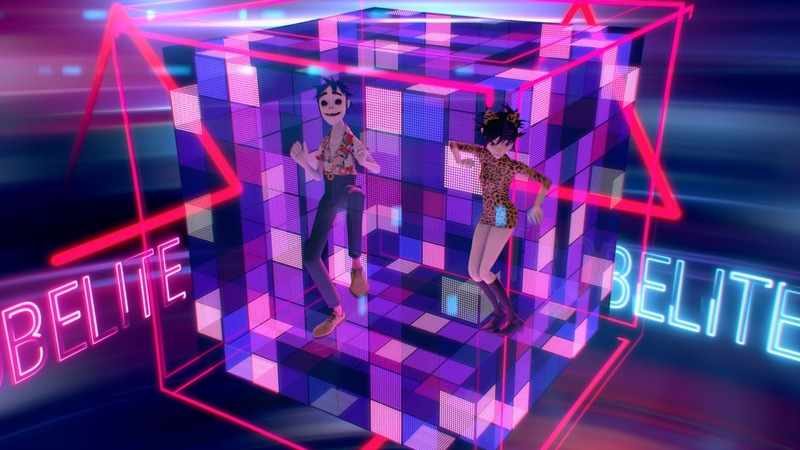 Strobelite – the euphoric dance track from chart topping album Humanz – is the new video from Gorillaz. Directed by Stoke native and Murdoc Niccals’ acolyte Raoul Skinbeck, the Strobelitevideo features Peven Everett along with band members 2D, Noodle, Murdoc and Russel Hobbs smashing it on a night out at an infamous London hotspot. Also coming in time for Notting Hill Carnival is a dancehall remix of Saturnz Barz by Cadenza, featuring all new verses from Mad Cobra, Assassin, Kila P and Teddy Bruckshot in addition to original vocals by Popcaan and Damon Albarn. Gorillaz live show has already been met with a rapturous response. The band headlined the inaugural Demon Dayz festival in Margate earlier this summer and most recently opened their Humanz world tour across sold out dates in the US. They will return to UK shores later this year for headline shows in November and December, be sure not to miss out.